Easily the most common reason that someone is unable to access either individual files or the file structure as a whole is what is commonly referred to as “bad sectors“. So What Are Bad Sectors? 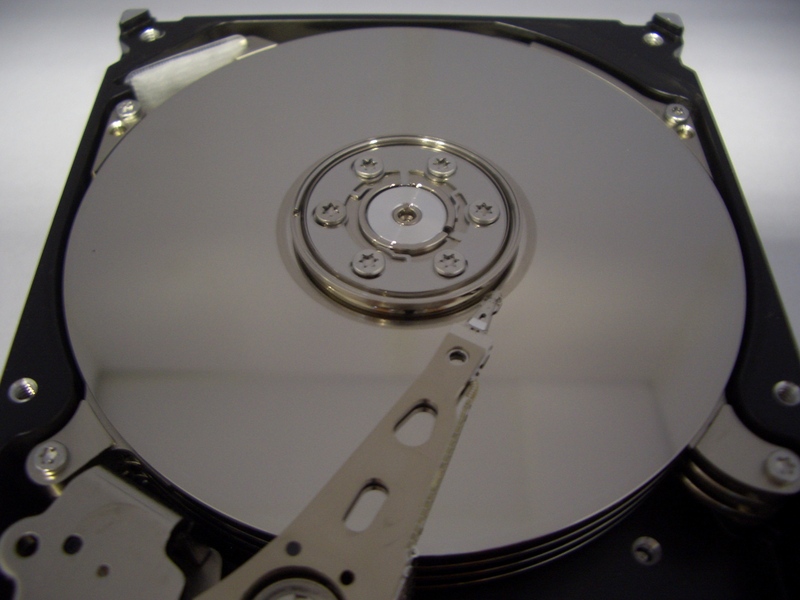 A hard drive is composed of a vast number of individual sectors. A sector is typically the smallest amount of data that can be written or read by a hard drive. For the vast majority of drives a sector is composed of 512 bytes of storage space. This means that in broad terms a 1TB hard drive (for example) would have roughly 2,000,000 sectors. These sectors reside on the data platters which spin inside the drive chassis. Each platter is coated with a chemical substrate which is designed to hold an electrical charge. This charge is your data in its most raw form. The read/write heads which move over the surface of the platters will read or write the electrical signal which is your data from or to these sectors. As a hard drive ages, the ability of that chemical substrate to hold an electrical charge decreases gradually, in much the same way that a permanent magnet gradually loses its magnetism. Once the electrical charges held in each sector decay beyond the ability of the read/write heads correctly to decipher the data then that sector can no longer be read reliably and is now a “bad sector”. Bad sectors will develop as a matter of course over the lifetime of any hard drive. The manufacturers understand this and consequently every hard drive leaves the factory with a pool of spare sectors. As each bad sector develops and this is discovered, the hard drive itself will assign one of the spare sectors to replace it. The problem is of course, that this pool of spares is finite. Once it has been exhausted then all subsequently developing bad sectors will result in potentially lost data. The problem can be even worse, if a sector which the operating system requires in order to boot goes bad then the hard drive will not be able to get itself up and running and you will have lost all access to your critical data. Although for the vast majority of cases data will only be lost through bad sectors after either a significant amount of heavy use or years of service, it is far from uncommon for a drive which is only weeks or months old to develop such a problem. Presumably these are instances where a hard drive has slipped through the factory quality-control procedures. As you might imagine, once bad sectors have started to develop on your hard drive it is very common for them quickly to avalanche into a vast number of unreadable sectors. This is not surprising as the circumstances which have led to one sector failing will be shared by all the other sectors on the hard drive. What Are the Symptoms of Bad Sectors Developing? While the pool of spare sectors has not been exhausted it is very unlikely that you will notice any changes in the performance of the hard drive. However once these have been exhausted and the bad sectors are now physically reducing the capacity of the hard drive itself then you may well notice that the hard drive takes longer when opening browsing applications such as Explorer and of course you may well find that you no longer have access to some of your files. If you have been unlucky in either the location or the number of bad sectors that have already developed then you may of course lose all access to the hard drive. What Should You Do If Your Drive has Bad Sectors? The first thing to understand is what not to do. Under no circumstances run, or allow to run, CHKDSK (pronounced check-disk). You will almost certainly find that on rebooting your computer the operating system will attempt to run CHKDSK. It is vital that you stop it from doing so. CHKDSK is designed to be used by a hard drive with a corrupted file system, but it makes the assumption that the hard drive itself is physically healthy. Your hard drive has bad sectors and is emphatically not physically healthy. Ask any data recovery expert what the most common reason that files ultimately proves to be unrecoverable, even to them, and they will tell you that it is because somebody had run either CHKDSK or some other data recovery software directly on a hard drive with physical problems. This is an excellent way of scrambling your data. What you need to do is to clone the hard drive before you attempt any kind of data recovery. You will need to know how to do this without changing the contents of the drive itself and in such a way that you can work around bad sectors. Ideally this work should be carried out by those with the professional expertise to do it, any other course of action necessarily endangers your data. Bad sectors are bad news, but if the first response is the correct one then it need not be the end for your data.